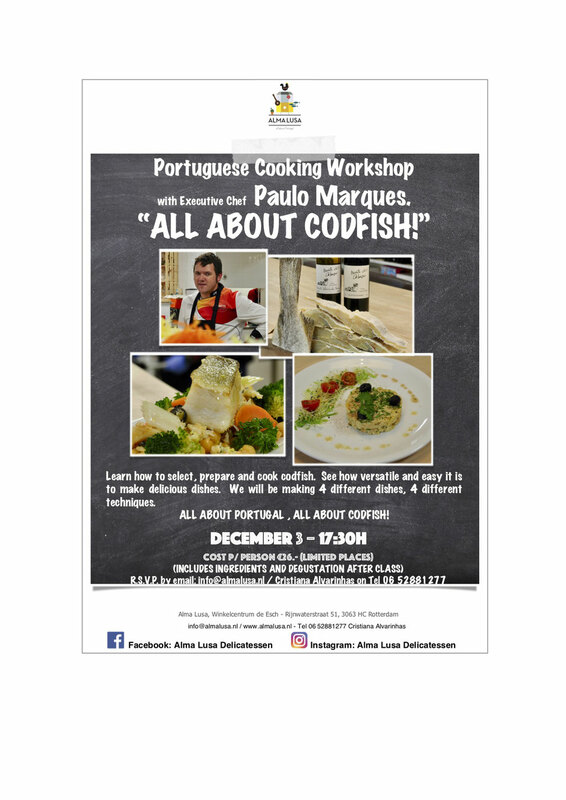 December 3, 2018 - PORTUGUESE COOKING WORKSHOP - "ALL ABOUT CODFISH!" Our next big event is all about learning the secrets of and discovering the simplicity in preparing salted CodFish to make delicious meals. Join us on December, 3 and learn from our Executive Chef Paulo Marques. Cost is €26.- per person. Limited seating, so book immediately. R.S.V.P. by email: info@almalusa.nl / Contact: Cristiana Alvarinhas on Tel 06 52881277. 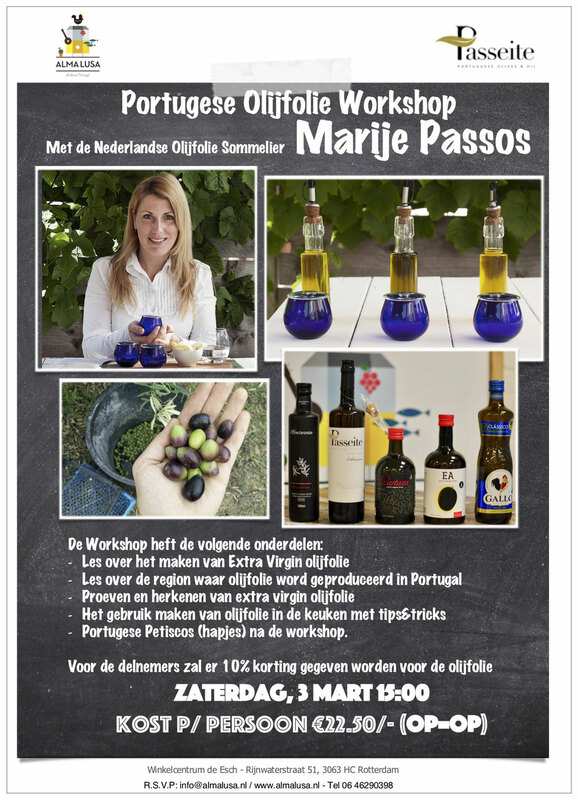 This very special event is all about learning the secrets of Portuguese olive oils. Join the Dutch Olive Oil Sommelier and producer at Alma Lusa. Cost is €22.50- per person. Limited seating, so book immediately. R.S.V.P. by email: info@almalusa.nl / Contact: Cristiana Alvarinhas on Tel 06 46290398. 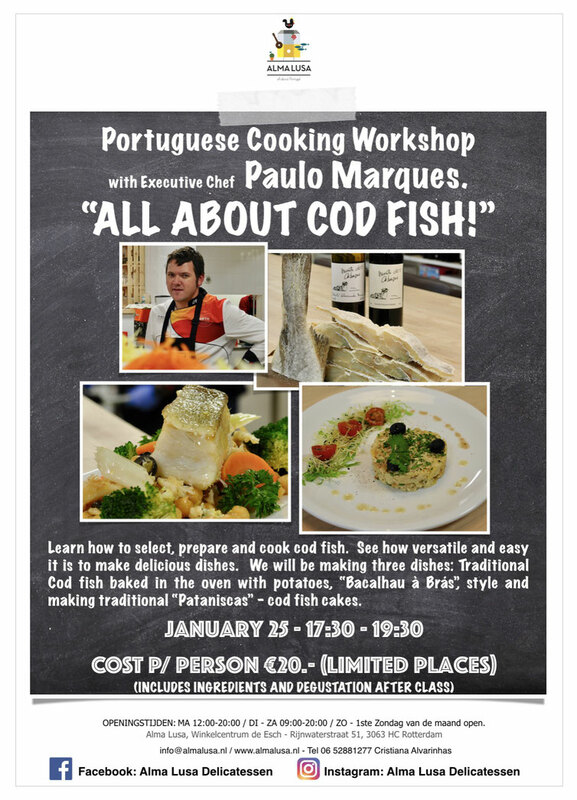 JANUARY 25, 2017 - PORTUGUESE COOKING WORKSHOP - "ALL ABOUT COD FISH!" 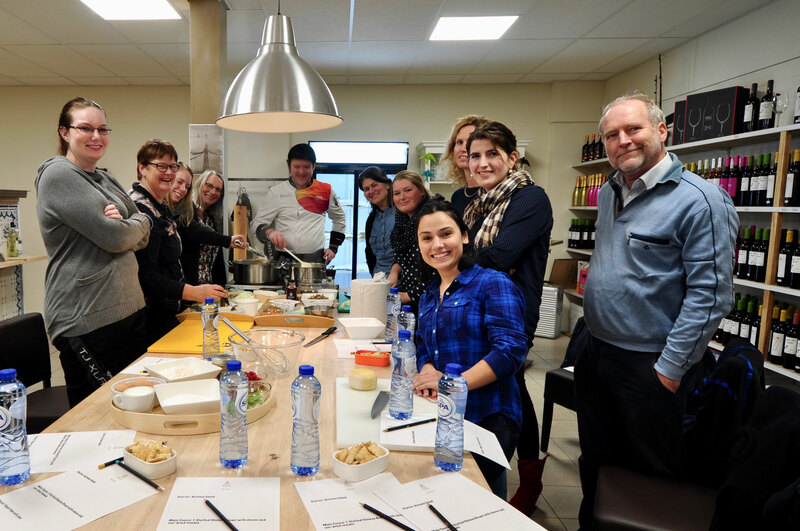 Our next big event is all about learning the secrets of, and discovering the simplicity in preparing salted Cod Fish to make delicious meals. Join us on January 25 and learn from our Executive Chef Paulo Marques. Cost is €20.- per person. Limited seating, so book immediately. R.S.V.P. by email: info@almalusa.nl / Contact: Cristiana Alvarinhas on Tel 06 52881277. 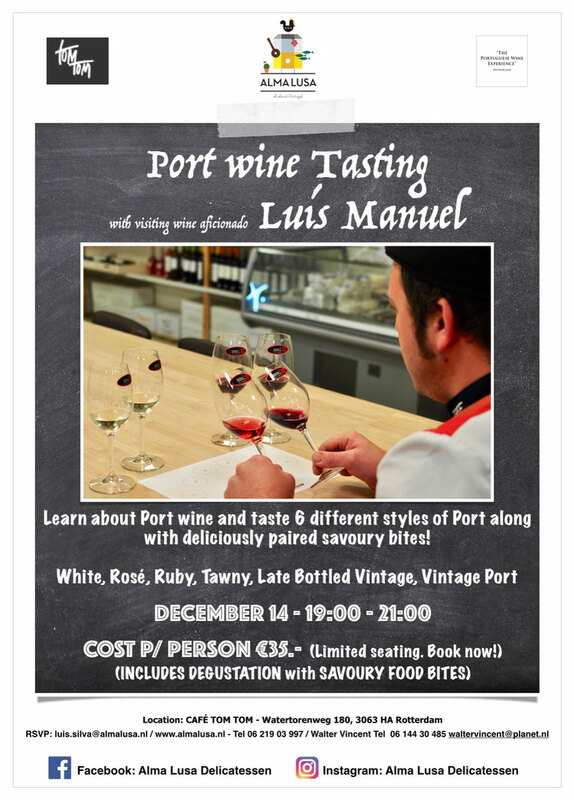 Our next wine event is a Port Wine Tasting scheduled for December 14 at CAFÉ TOM TOM de Esch (Watertorenweg 180, 3063 HA Rotterdam). Learn about the origins of Port wine and taste various different styles of Port wine. White, Rosé, Ruby, Tawny, LBV and Vintage Port. Join us in a casual tasting of one of the greatest wines of the World. An event not to be missed! We love people, we love food, and we love wine! To this effect, we are planning more gastronomic, wine events and workshops to take place in Holland and in Portugal. If you share our passion, please register below to receive information about our future events. Cheers!